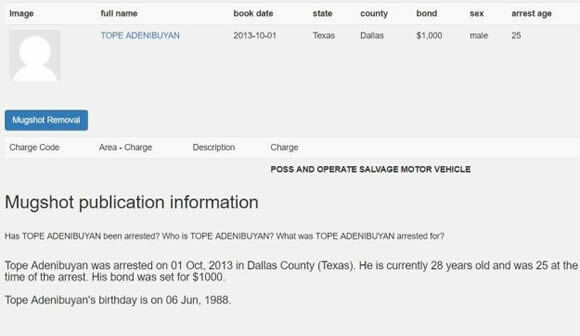 Big Brother Naija 2018 Housemate, Tope Adenibuyan, Teddy Badman A, was arrested in Dallas, Texas in the year 2013, but it apparently, wasn’t for a serious crime. 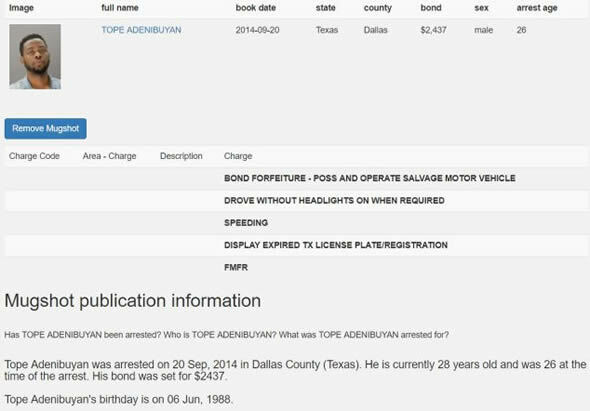 According to reports shared on social media, and some info gathered on whogotarrested.org, Teddy A has been arrested Thrice. His mugshot is currently being circulated on the internet.. This is a clear example of… “The internet never forgets”… Or rather, “The past one way or the other, comes hunting”..